32 Dual College Credits offered for high schoolers, including ENG 1301, ENG 1302, British Lit, American Lit, College Algebra, College Statistics, College Spanish A/B, Psychology, Sociology with more to come! Poetry Community Christian School is a K-12th option offering something for everyone: Affordability, Accreditation, 18:1 Teacher-Student Ratio, College-Prep Programming, Teachers Qualified in their Disciplines, District and State Champions in Sports, Christ-Centered Environment, Large Campus, Up-to-date Facilities and Media, Learning Differences Support, 50+ Elective Choices per Semester, and Parent Involvement. These were key characteristics important to the school’s founders when it opened in 2002. 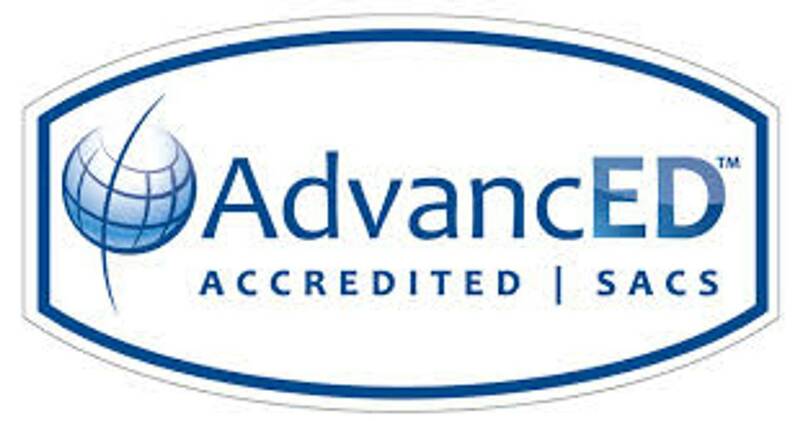 The school’s Re-Accreditation by AdvandEd/Southern Association of Colleges and Schools revealed the school was exemplary in parent involvement, integration, and communication as well as meeting all standards of the organization related to financial management, leadership, faculty credentials, educational programming, college & career support, learning differences support, admissions, and more. Parents seeking Affordability will be pleasantly surprised at Poetry’s monthly tuition rates which are less than most pay for day care (ranging from $426-$604 per month). The school is able to offer such reasonable tuition because of its Parent Partnership Program. “PCCS contractually requires a minimum of five parent partner hours per month for each child enrolled toward operational support such as housekeeping, traffic monitoring, athletics, recess and lunch monitoring, and campus maintenance,” said Dr. Horan, the school’s president and administrator. The school reports an average of 1500 parent partner hours per month which keeps overhead down and ensure parents are integrated into the school. Parents seeking Educational Excellence will find it at Poetry. The school is unique in offering college prepatory programming as well as a Support Services Program designed to assist students with various learning differences. To gain admission, students must take a pre-admission test to ensure they are ready for the upcoming school year. This testing reveals academic proficiencies and may reveal academic gaps from prior educational settings or even learning differences that can be addressed through summer tutoring, school term tutoring, adjusted grade placement, or assignment to one or more small group classes. Students at PCCS perform well nationally as confirmed by the annual nationally-normed achievement test (TERRANOVA) which has revealed a nine year school average in the top 15% of the nation. Parents seeking Diverse Educational Programming will see many options for their children. The elementary students focus on mathematics and English during their morning schedule, while upper school students schedules cover mathematics, English, foreign language, history, and science. The school partners with Trinity Valley Community College to offer 34 hours of dual college credit. “Our dual credit program gives our high schoolers a head start with a semester of college completed before they graduate from PCCS,” reports Shari Nelson, the school’s College and Career Counselor. The afternoon’s are comprised of more than 50 Enrichment Electives Courses chosen by students each semester including honors English, Christian Soldiers Karate (more than 70 students enrolled), lit circles, physical education and athletics, Dave Ramsey money management for teens, drumline, theatre troope, puppet team, sign language, Powerpoint, SAT/ACT prep, photography, college & career planning, webtastic, claymation, archery, home ec, Texas Stream Team, and various art classes (e.g., weaving, pottery, drawing, painting, design). Parents will find a Dynamic Dynamic Athletics Program at PCCS. The school offers sports that the students have interest in and where the teams will excel including girls volleyball (varsity, jv, and jr high), boys basketball (varsity, jv, jr high and elem), golf, baseball, softball, archery, and karate. In the last few years, the school has gained the league district, regional and state championships in varsity volleyball and the district and regional championships in basketball. Track team members hold championship medals in the 400m, 800m, mile, shotput, 4x400m relay, 4x200m relay, and the 200m. Several students/alum are also Junior Olympians. Under the National Archery in Schools Program (NASP), our certified instructor, takes students to local matches and invites schools to compete on campus. Our Athletics Staff reports that academics take first place at PCCS, but that athletics play an important part of student life in promoting and developing sportsmanship, healthy competition, and God-given abilities. Campus Details: The school's 11,000 sq. foot Multi-Purpose Building includes an additional 3,750 sq. foot Annex which includes vo-tech rooms, tutoring room, a dance/music studio in addition to the Athletics Program offices, Christian Soldiers Karate studio, performance theatre, concessions/kitchen, and the main gym. During its decade anniversary in 2012, the 7,500 square foot Decade Building was completed housing two up-to-date student 20-station computer labs, a consolidated library, two science/art labs, and several classrooms. This building complements the original 6,700 sq. foot elementary building and 7,000 sq. foot Upper School Building. Poetry Community Christian School offers several scholarships each year based upon demonstrated financial need (and on a space-available basis) for those students with prior term honor roll grades utilizing the FACTS Tuition Management Financial Aid & Grant electronic application process. Enrollment for the upcoming school term begins each January and admissions are ongoing. Fall classes begin the end of August (see Academic Calendar). For more information or a tour, call 972-563-PCCS.